Last week, New Jersey’s Appellate Division revisited the question of whether an employee who blows the whistle about an activity related to his job duties can be protected by New Jersey’s Conscientious Employee Protection Act (CEPA). This time, the court concluded the employee can proceed with his claim even though he blew the whistle about an issue related to his job. There is a split in legal authority over this issue. As I discussed in a previous article, New Jersey’s Whistleblower Law Protects “Watchdog” Employees Whose Jobs Require Them to Report Violations of Law, last September another panel of the Appellate Division ruled an employee whose job is focused on corporate safety or compliance issues is protected by CEPA only if he (1) “pursued and exhausted all internal means of securing compliance” or (2) “refused to participate in the objectionable conduct.” In contrast, several previous cases have ruled that employees who object about violations of the law in the course of performing their jobs are not protected by CEPA. The latest case to address this issue is Dukin v. Mount Olive Township Board of Education. Robert Dukin worked for the Mount Olive Township Board of Education as an auto-mechanic. 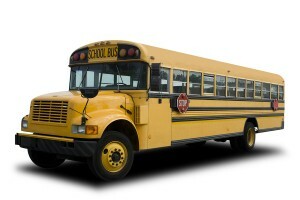 In early January 2010, he told his supervisor about a number of safety concerns about a particular school bus. The next time Mr. Dukin was at work, he saw a bus driver preparing to drive the unsafe bus. After confirming the bus had not been repaired, Mr. Dukin told the bus driver not to drive it. He then reported this to the New Jersey Motor Vehicle Commission’s on-site inspector, who directed Mount Olive to take the bus out of service. Shortly thereafter, Mr. Dukin’s boss ordered him to repair the bus using a bumper-jack. Mr. Dunkin refused because he believed doing so was unsafe because the bus was on uneven ground. His boss then ordered him to go home. At home, Mr. Dukin filed a complaint with New Jersey’s Office of Public Employees Occupational Safety and Health department (PEOSH), which eventually found multiple safety violations. When the Superintendent learned what had happened he fired Mr. Dukin, only to rescind his termination five minutes later. Mount Olive subsequently scheduled a hearing to discuss Mr. Dukin’s employment. Prior to the meeting, Mount Olive offered Mr. Dukin the option of being paid for the final five months of his employment contract if he resigned and waived his legal claims against the school district. Mr. Dukin rejected this offer. Mount Olive permitted Mr. Dukin to finish out the school year, but did not renew his contract for the following year. Mr. Dukin then filed a retaliation lawsuit under CEPA. The Appellate Division found Mr. Dukin is protected by CEPA. It distinguished its previous rulings regarding employees who object in the course of performing their job duties, explaining that unlike Mr. Dukin each of those cases involves an employee whose “central job description was to assess and analyze risk for” their employer. In other words, it establishes a different standard for (1) employees whose jobs focus on safety or compliance, who either have limited or no protection under CEPA; and (2) all other employees, who are protected by CEPA whether or not their objections relate to their job duties. The Appellate Division also found Mr. Dukin has enough evidence to prove retaliation. This includes the fact that his supervisor previously told the mechanics he would “bury” them if they ever went over his head, the timing and circumstances of Mount Olive’s disciplinary actions toward him, and the fact that the school district changed its justification for firing him from budgetary concerns to poor performance. Accordingly, the court concluded that a jury should determine whether Mount Olive retaliated against Mr. Dukin in violation of CEPA. The Dukin opinion is unpublished, so it is not a binding precedent. However, it is a reminder that this question is in a state of flux that will remain until the New Jersey Supreme Court finally answers this question.